The NACE Foundation’s Scholarship Program was established to promote the study of corrosion science and engineering, as well as to recognize academic excellence and aid deserving students who demonstrate a drive to succeed and become contributing members of the corrosion industry. The application process is open annually from September 1 through January 1 and the NACE Foundation offers several scholarships, funded by contributions from individual members, NACE Sections and Areas, corporations and other non-profit entities, to students who meet the criteria established by the scholarship donors. Each scholarship has its own specific set of eligibility requirements, and is reviewed by a separate Selection Committee. If you are interested in applying for a scholarship through the NACE Foundation, please review the general scholarship guidelines below, in addition to any eligibility requirements for the specific scholarships. Consideration will be afforded to all eligible candidates who apply, provided the candidate submits a completed application with all necessary documentation prior to the deadline. Please click on the link below to review and apply for the NACE Foundation’s 2019 scholarships. Click here to view the list of available scholarships and eligibility requirements. Click the “Sign Up” or “Sign In” button to begin the application process. Complete the General Application, and select the program(s) that you wish to apply for. Once you complete the General Application, you will be “Auto-Matched” to the scholarship opportunities for which you meet the minimum qualifications. Auto-matched scholarships do not require you to complete an additional application. Scholarship opportunities listed on the Recommended Opportunities page will require supplementary documentation and/or essay questions. To apply for these scholarships, click the “Apply” button to complete and submit your application. All submitted applications may be edited at any time prior to the scholarship deadline. Login to your account and click on the appropriate application to make your changes. Click “Update Your Application” at the bottom of the page once you have completed your changes. Contact Us for more information about the Academic Scholarships Program. 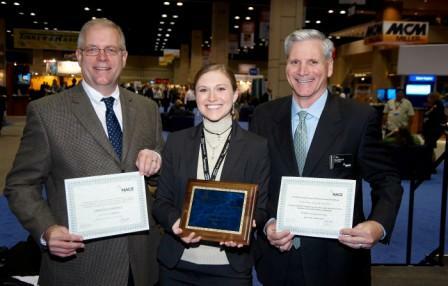 NACE Foundation scholarship recipients will be recognized at the NACE Annual Conference each year in March. Recipients are highly encouraged to attend the conference in person to be acknowledged. NACE Foundation scholarship recipients are eligible to apply for Travel Assistance to subsidize their travelto the annual conference to receive their award in person. Applicants must be currently enrolled full-time in a college/university. Students enrolled in 2-year or junior colleges are eligible to apply. Applicants may apply for as many scholarships as they are eligible, however, a maximum amount of $10,000 per student (excluding Travel Assistance) will be awarded in any given year. Once a candidate reaches the $10,000 maximum, that candidate’s remaining application(s), if any, will not be considered by subsequent Selection Committees. If the candidate applies for and receives a singlescholarship that exceeds the $10,000 maximum amount, that candidate will be excluded from consideration for all subsequent scholarships. All scholarship monies are paid directly to the recipient’s college or university and are to be used for educational expenses only. Expenses include, but not limited to: tuition, fees, books, supplies, and equipment required for courses at the educational institution. Applications are to be completed by the students themselves, using official applications and recommendation forms provided by the NACE Foundation. NACE academic scholarships are not intended to replace stipends or other financial support provided to students for their education by industry, universities, or other organizations. Applicants must submit one complete copy of their application for each scholarship. This includes allinformation which is to be considered by the Selection Committee (with the exception of Recommendation Forms that are sent directly to the NACE Foundation). Previous applicants and recipients are eligible to reapply each year in open competition with new applicants. Upon acceptance, all scholarship recipients must submit a color photograph of themselves to the NACE Foundation, which will be used for publicity purposes. All scholarship recipients are required to submit a written follow-up report to the NACE Foundation within one year of receipt of their scholarship, describing how funds were utilized and how the scholarship aided their education. Relatives of members of the Selection Committee or NACE Foundation staff are ineligible to apply. One alternate recipient may be selected for each scholarship by the NACE Foundation in the event the chosen recipient becomes ineligible. 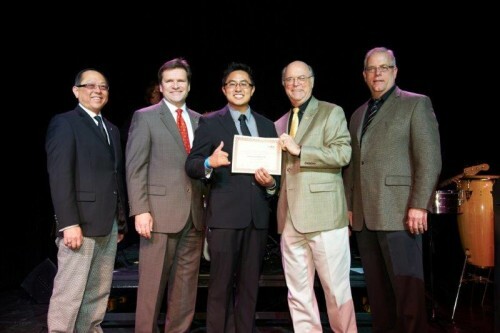 The NACE Foundation reserves the right to not award any or all scholarships at all in any given year. All applicants will be notified via e-mail no later than mid-February about the status of their applications. Applicants who are awarded a scholarship through the NACE Foundation must submit their written acceptance of the scholarship award and notify the NACE Foundation of their intent to attend the NACE annual conference as soon as possible after notification. NACE Foundation scholarship recipients are eligible to apply for Travel Assistance to supplement their travel to the annual conference to accept their award in person.